Hyundai doled out another tiny dose of information about its new 2020 Venue crossover today, showing off a handful of design sketches ahead of the vehicle’s official debut later this month. Hyundai is touting the Venue as the smallest crossover in its lineup — even more diminutive than the subcompact Kona. 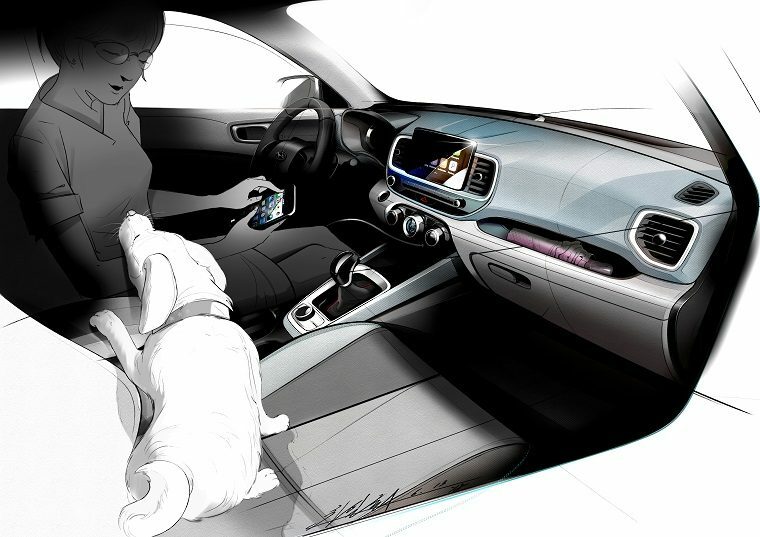 The new sketches bear out this description, showing a vehicle with a truncated rear and a cozy cabin. 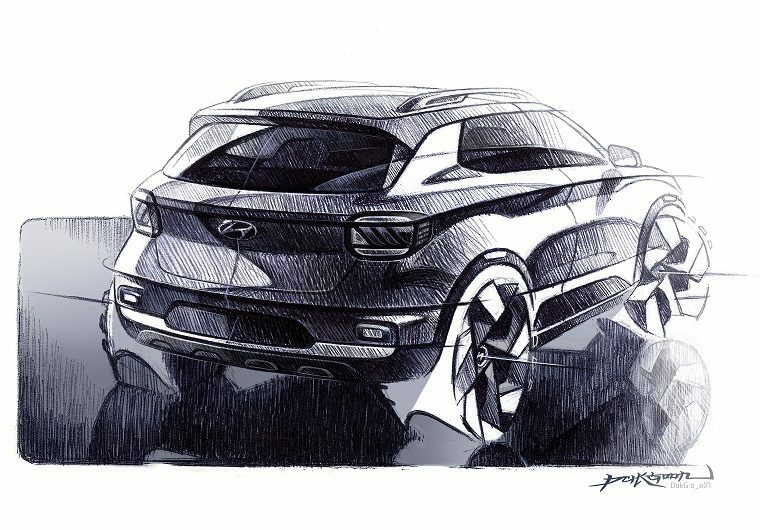 Hyundai has said that the Venue will feature a boxier body style than the sleeker Kona, and the new sketches confirm this. 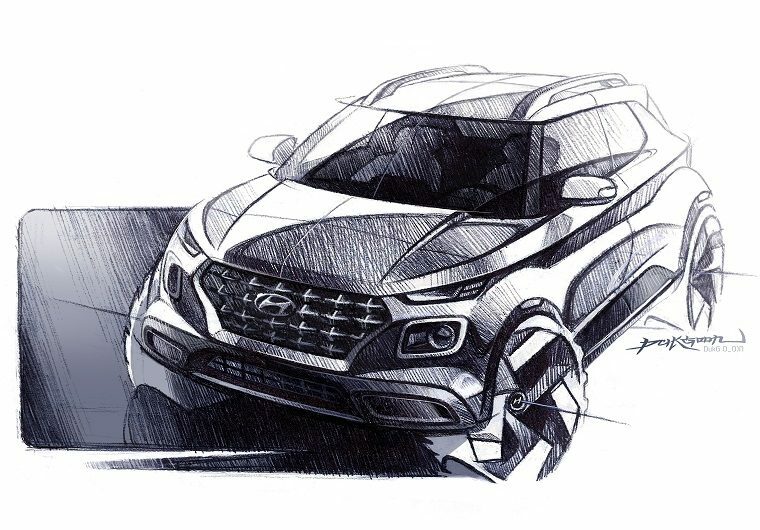 The Venue is characterized by a blocky build, stocky stance, and blunt edges, immediately distinguishing itself from the rest of Hyundai’s crossover lineup. In front, the Venue’s grille and headlight setup retain some similarities to the Kona, but the rear offers different headlights and an overall more squared-off look. 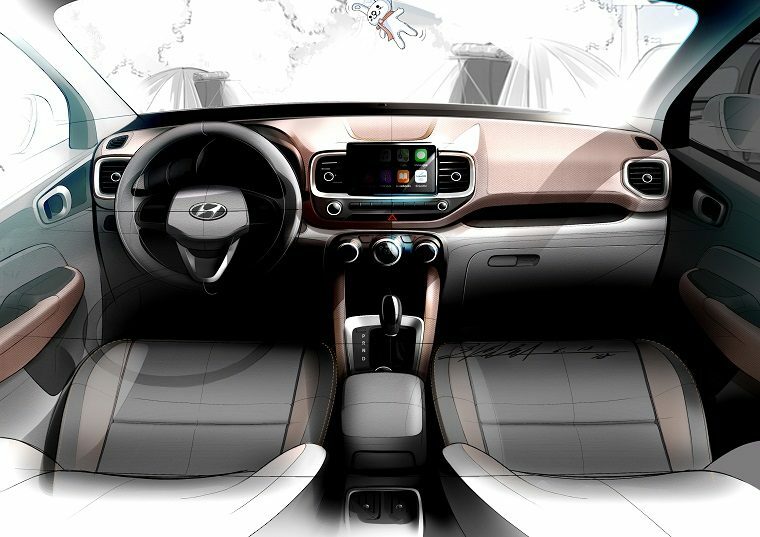 Based on Hyundai’s sketches, it looks as if the Venue’s interior will be fairly simple and stripped-down. One notable new twist is the lowered infotainment screen, which is positioned between the center air vents. The design sketches of the Venue weren’t accompanied by any new details about the vehicle’s specs or features. Instead, Hyundai is sticking to generalities about its newest crossover. “From everyday workplace activities to weekend fun, Venue is a great fit in accommodating busy lifestyles with an abundance of playful and practical features including seamless safety, versatility, and connectivity,” the Korean automaker stated. Potential buyers won’t have to wait much longer for specifics on the Venue. Hyundai plans to unveil the vehicle April 17 during a special event at the New York International Auto Show.